The Aldrich Contemporary Art Museum in Connecticut would love to be your go-to place when school is out. 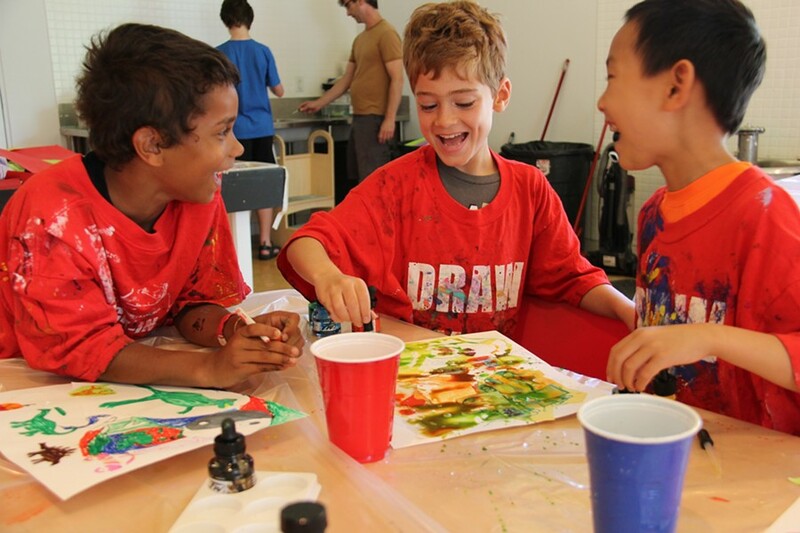 They offer Afternoon Studios to inspire little artists in creative thinking. With open-ended projects hosted at the Museum’s Education Center, the focus is process-based rather than product-based, so kids can explore, experiment, and let the results go. And you don’t necessarily have to carry around a finished work of art the rest of the day. Most of the 2-hour workshops are inspired by the art on exhibit in the museum, providing a family-friendly way to view art and ideas. No pre-registration required, and it’s free with Museum admission. The Aldrich is dedicated to fostering the work of innovative artists. The independent, non-collecting museum is the only one in Connecticut devoted to contemporary art. As part of their mission to connect today’s artists with communities, the Aldrich offers all types of programming for kids and families. Young Artist Happenings for middle- and high-school students include expert talks, trips to artist studios, and portfolio programs to prepare for art school or the artist’s life. There’s also an afterschool program for grades 1-6, summer camp, school field trips, homeschooler series, teacher professional development, plus free family workshops every third Saturday from 10a-3p. Afternoon Studios programs are running twice during winter break and again in January and February during the three-day weekend holidays. The gallery educator-led workshops for caregivers and children run from 2-4p, and are great for families with kids of all ages. Try patterned printing on December 26th; create a work of art inspired by the future on December 29th; make art that glows in the dark on January 16th; and design a penny with your own silhouette on February 20th. Before and after the workshop, explore the museum’s current exhibitions - Polaroid photography, light installation, a sculpture garden, and a camera obscura. Family Programming at the Aldrich Contemporary Art Museum at 258 Main Street in Ridgefield, Connecticut. Open most days from 10a-5p except Sundays, from noon to 5p, and closed Tuesdays. Adults $10; seniors and college students $5; children under the age of 18 and K-12 teachers free. Free parking. Visit their website for more details.